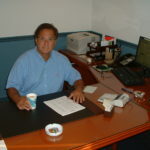 Michael Giangrandi is CEO and owner of A.J. Michaels, which he incorporated back in 1978. He holds a Master’s License in Heating and Air Conditioning, a Maryland Home Improvement license, and has been certified by the Building Performance Institute. Michael takes a simple, straightforward approach to doing business. Early in his career, Michael saw the advantages of energy-efficient technology, both for his customers and for the environment. As Chairman of the Maryland Alliance of Energy Contractors, he represents the state’s plumbing and mechanical contractors. Together, they work with utilities and state agencies, promoting energy-saving initiatives, affordable financing, and rebates for energy conservation through the EMPOWER Maryland Program. Michael serves on the Maryland Clean Energy Center (MCEC) Advisory Council. The Council draws input from collaborative groups to direct activity related to finance, outreach & education, policy & legislation, advancing innovation, and measuring impacts as related to the MCEC mission and market expansion for advanced energy. Most recently, Michael was appointed to the Maryland Board of Heating, Ventilation, Air Conditioning and Refrigeration Contractors. The Board licenses and regulates individuals who provide commercial and residential HVACR services. The Board is also authorized to adopt applicable regulations for the provision of HVACR services, including codes and minimum standards for the installation, alteration, remodeling, maintenance and repair of heating, ventilation, air conditioning, and refrigeration systems. The Board also investigates complaints against licensees and complaints related to unlicensed practice.